The first Koza Craft Beer Fest invites everyone for a few suds at Koza Music Town event space. Craft beers, or beers brewed in small local breweries in small quantities have a rather short history in Japan. The market for craft beers was opened only in 1994 when the law was changed to allow commercial beer brewing in small quantities. However, after the initial enthusiasm, the market contracted for several reasons, and has only recently taken off again with several new brewers entering in the business. 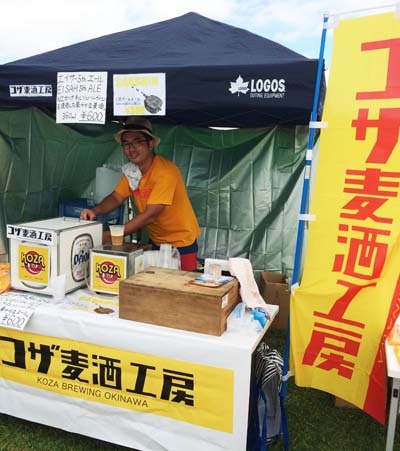 Koza Brewing Okinawa represents its home city at the festival. 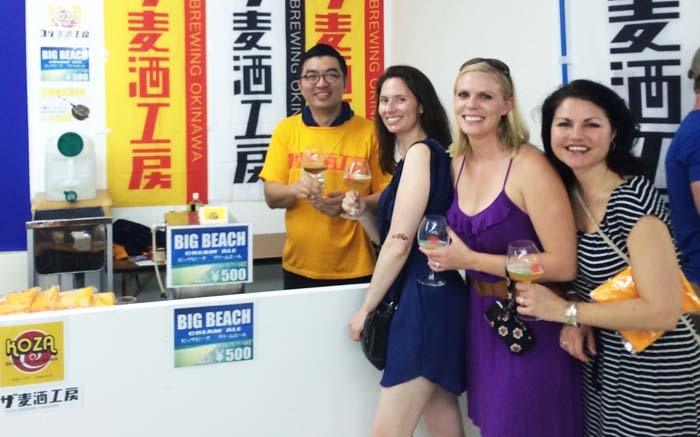 On Feb. 7th, eight craft beer breweries from various parts of the nation will present their products in Okinawa City at the Koza Craft Beer Festa 2016. The eight microbreweries participating in the event are Kibidote Brewery from Okayama Prefecture; Koenji Brewpub from Tokyo; Mabi-chikurin Brewery from Okayama; Tanba-shinoyama Zigzag Brewery from Hyogo Prefecture; Awa Shinmachigawa Brewery from Tokushima Prefecture; In The Door Brewing from Hyogo; Craft Heart Brewery from Hiroshima Prefecture; and Koza Brewing Okinawa from Okinawa City. Organizers of the event aim to encourage people to try beers that are different from the light lagers that the nation’s large breweries churn out and many beer connoisseurs say taste too much all the same. They would like beer drinkers to be more adventurous and drink craft beers. The event takes place on Sunday from noon to 18:00. Admission is free but the beers cost ¥500 each. The venue is the first floor event space at Koza Music Town. In addition to a variety of craft beers, there are delicious fusion food dishes and pizza by the Scarpetters, a store familiar from the popular ‘Okinawa Food Flea’ events. There is live music on stage as well.